A soldier stands in uniform having his photo taken. A voice-over instructs: `Look well at this man. Look! He knows – ….’ WW1 poet and writer Mary Borden’s devastating poem makes the hairs rise on the back of the neck. 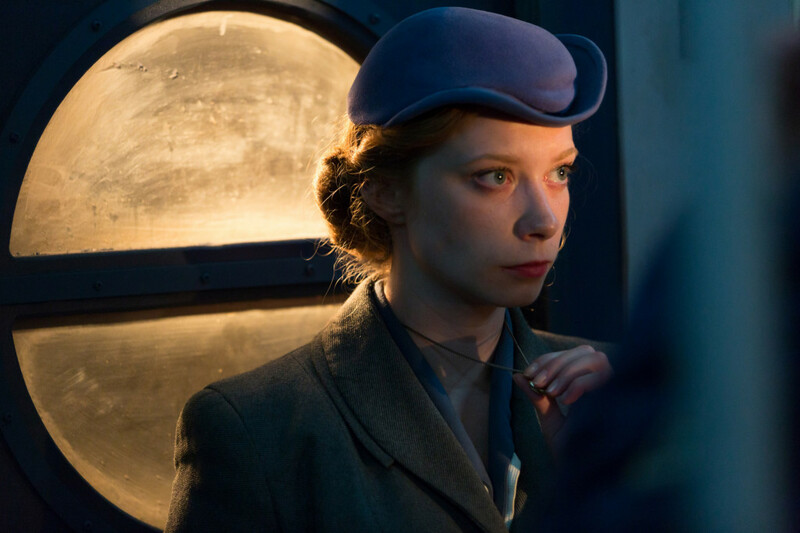 It is the beginning of possibly Katie Mitchell’s best – and that is saying something – experiments in multi-media `theatre’. Admittedly, Mitchell’s vision requires budgets British practitioners can only dream of and her preoccupations haven’t always found favour here. But The Forbidden Zone, taken from Borden’s book chronicling her experiences as a nurse behind the lines in WW1 – `the forbidden zone’ – shows Mitchell in total command of her mediums. Mitchell has been experimenting for a long time with this bi-focal technique of stage and video-cam. In The Forbidden Zone, it pays off with a stunning display of technical and narrative bravura offering also a fascinating study in perspective. What you see enacted in a series of chamber rooms is not what appears on screen. The space in between raises all sorts of questions about perception. We see the `fiction’ being made; it doesn’t stop us buying totally into the images on screen and the story – that of the suicides of two related women. Clara Immerwahr was the wife of Jewish scientist, Fritz Haber who helped develop chemical weapons, first used in Ypres in 1915. Thirty four years later, their grand-daughter, Claire, committed suicide after learning of the use of the cyanide based Zyklon B agent in Auschwitz. One chemical development had led, terribly, to another. Mitchell with Duncan Macmillan’s text (drawing on Borden but also Virginia Woolf, Hannah Arendt, Emma Goldman and Simone de Beauvoir) turns their suicides into a protest and a mark of female powerlessness. 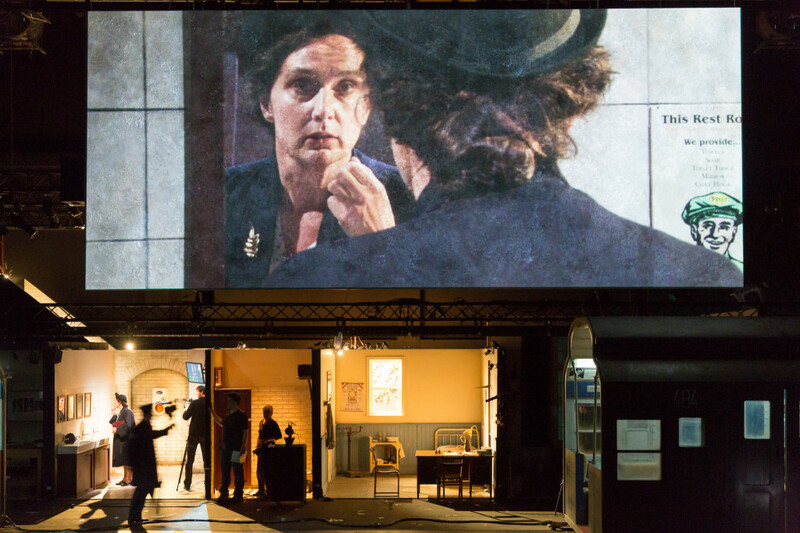 With an army of scurrying video cam operators, Mitchell with designer Lizzie Clachan produces a series of absorbing scenes, particularly within the battleship grey railway carriage, which appears to rattle through the city even as we watch it tethered to the Barbican stage. With a terrific cast drawn mostly from the Schaubühne plus Mitchell regular, Kate Duchêne as the nurse/scientist link between Clara and Claire, they don’t come better or more eloquently impressive than this. 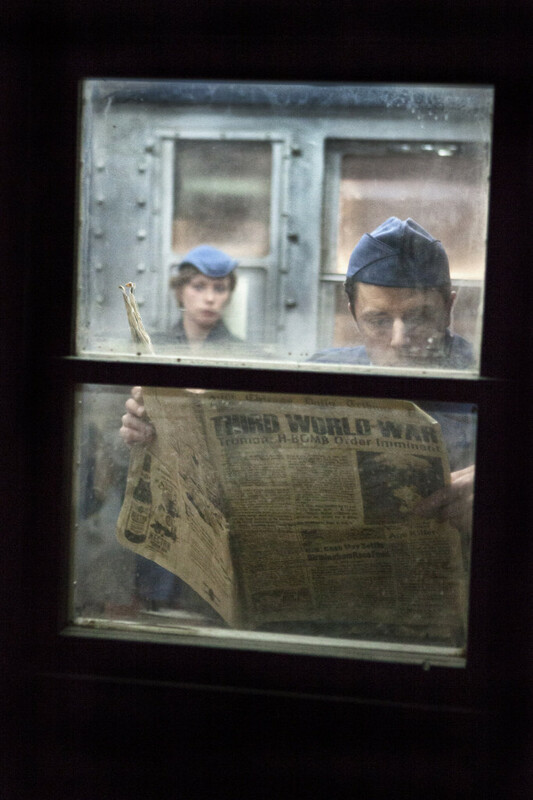 Presented by the Barbican and 14-18 NOW: WW1 Centenary Arts Commissions, supported by the National Lottery through Arts Council England and the Heritage Lottery Fund. This entry was posted in 2016, Reviews and tagged 14-18NOW commission, Barbican Theatre, Duncan Macmillan, Emma Goldman, Hannah Arendt, Katie Mitchell, Mary Borden, Schaubuhne Berlin, Simone de Beauvoir, Virginia Woolf, women in war, WW1 multi-media on May 29, 2016 by Carole Woddis.